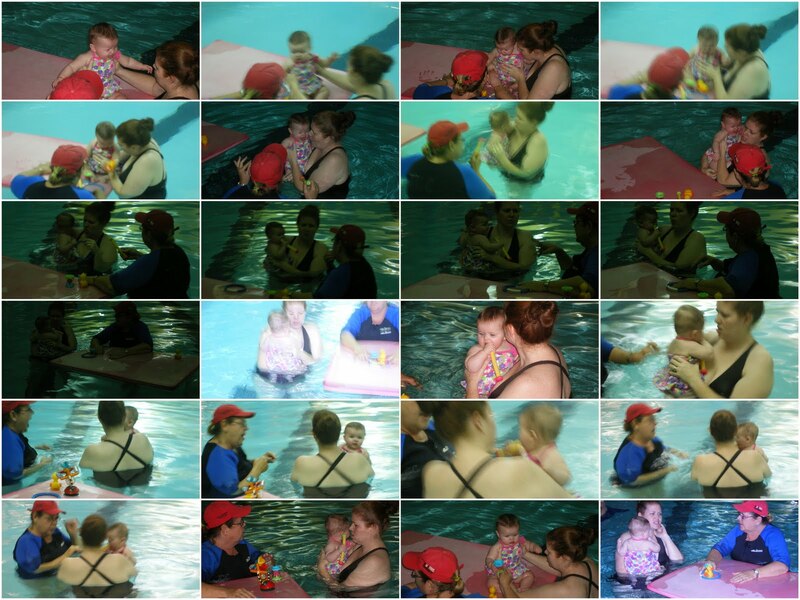 Today was my second swim lesson. How cute is the little flower on my left shoulder!?! My boyfriend Evan was a no show though so it was just Miss Mary, Mom and me. As a bonus, the pool heater broke so it was two degrees cooler than last time... and last time I thought it was freezing. Remember, I was thinking bathwater like temps, 90-100 degrees, which it was NOT. And this time it was cooler? Not cool. Wait, the water was but... nevermind. Dad tagged along again but just took still shots this time. Unfortunately Mom and Dad's camera belongs in a diaper so not a lot the pictures turned out. Here's the only decent one followed by...the rest.